Chem. Commun., 2013, 49, 5271-5273. We report on the activation of CO2 by the well-defined alkylzinc hydroxide (tBuZnOH)6 in the absence and presence of tBu2Zn as an external proton acceptor. 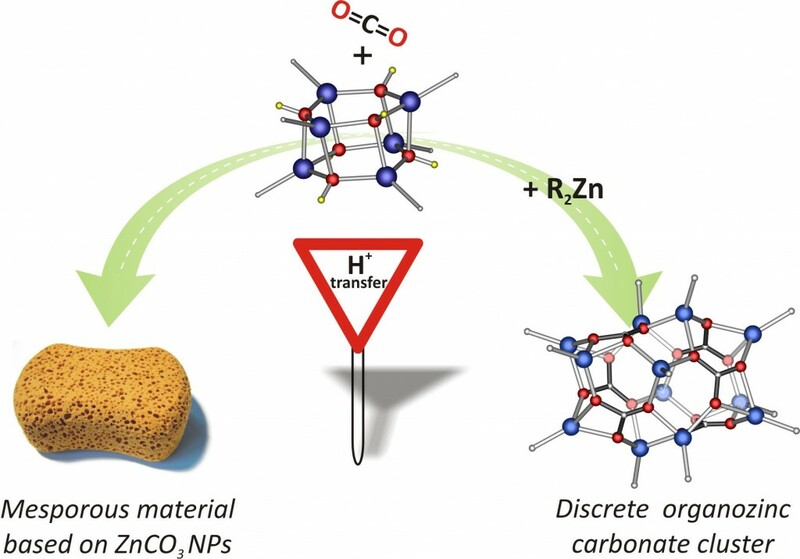 The slight modifications in reaction systems involving organozinc precursors enable control of the reaction products with high selectivity leading to the isolation of the mesoporous solid based on ZnCO3 nanoparticles or an unprecedented discrete alkylzinc carbonate [(tBuZn)2(μ5-CO3)]6 cluster with the Zn–C bond intact, respectively.